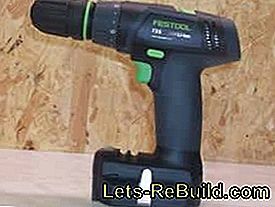 The Festool Cordless Drill TXS Li 2.6 is not a common drill. 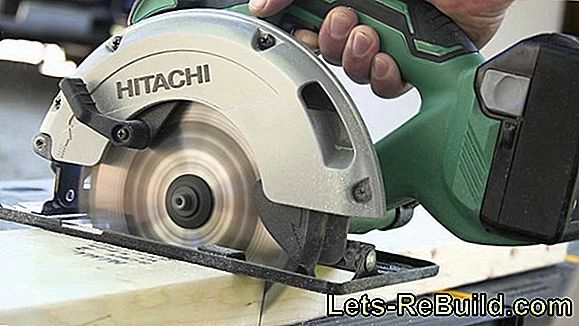 Through a removable quick-action chuck and exchangeable attachments he becomes the Cordless drills, cordless screwdrivers and even for angle drills and screwdrivers, These are some ways that sets him apart from other competitors. 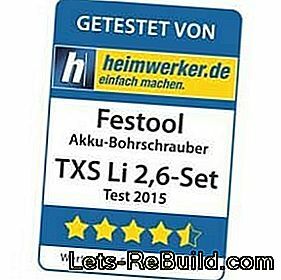 Our test device has the special designation "Festool Cordless Drill TXS Li 2,6-Set". The emphasis in this case is on the attachment "set". 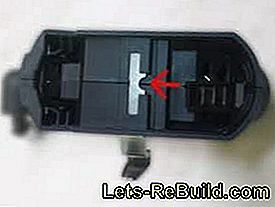 This means that the TXS already has the Angle attachment as an accessory contains. 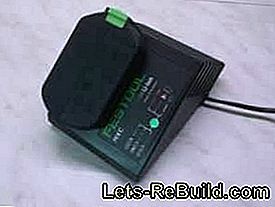 Also contains the set two lithium-ion batteries with a capacity of 2.6 Ah, which should suffice for sufficient reserves. The complete Package is delivered in the usual systainerwho have already made a name for themselves and do not belong to the test today. The operating instructions often reveal the quality management of the manufacturer. 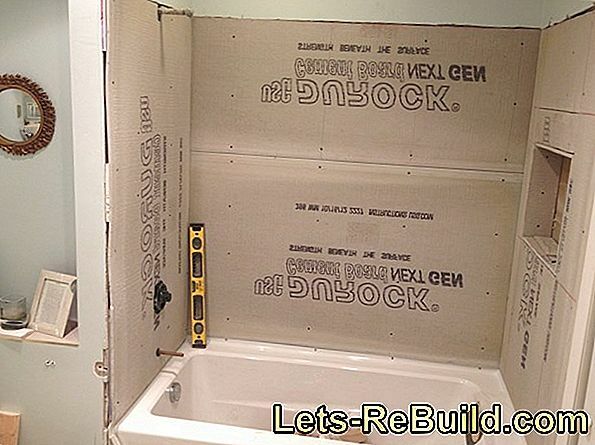 Those who lovelessly attach a sheet with reference to the components usually do not pay special attention to the tool. Festool is doing a lot here positively attracts attention and provides an understandable user manual, which leaves nothing to be desired. To be honest, very few people read the safety instructions for a product. So we think it makes sense to outsource these in an extra notebook, on whose whereabouts everyone can decide for themselves. 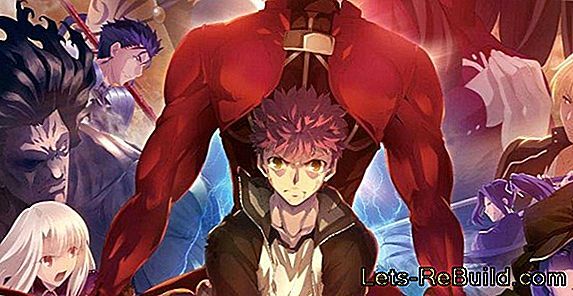 The actual manual comes as a small book in 14 languages ​​therefore, which brings a small disadvantage. The Leaves are glued together and if you do not bend it hard at the currently open side, Scroll on or off by yourself. Impractical, if you put the instructions on the table while the functions at the same time s.Tele test device.Damit but also the only unsightly point in the manual called. Everything else impresses with its good implementation and even a special innovation. The back can be folded at predetermined lines and has pre-punched holes on which the instruction manual filedt can be. A great idea. Equally great is the fold-out image area, No flicking back and forth while reading and checking which part is meant right now. A big plus. The contained text consists of five pages and is clearly structured and well explained. Who reads everything should have no further questions afterwards. 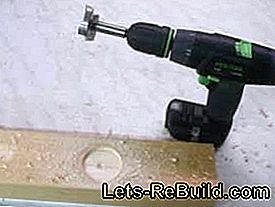 A handyman has certainly had so many cordless drill driver in hand and he will immediately notice a few differences. A screwdriver with 10.8 V has a rod battery in the handle and can not be turned off. Every sensible screwdriver has a rubberized handle or rubber gripping surfaces for a secure grip. From these thoughts we detach ourselves at the TXS. 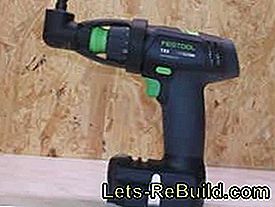 - This cordless drill / driver has a similar design to the 14.4 V or 18 V class, can be turned off and has no offset gummed Surfaces. Of course, the ability to turn it off pleases and sets it apart from its competitors in the same class. If she rough grip surface is sufficient or the rubberized surface is missing will, shows the later practical test. The technical data look at first glance equivalent to other screwdrivers, However, some are even under comparable brand models, eg. B. the torque, This unsettles in this price range a bit and makes you right on the practical test curious. The optical Appearance and visible high quality workmanship absolutely does not have to be compared. The housing of the TXS Li's consists of two different materials or different material surfaces, But nowhere is the transition noticeable, as if the case had been ground after assembly. This testifies to an absolutely tailor-made production and reflects the desire for a high-quality device. High quality is the interaction of the individual Attachments, which are all easy to put on and take off. Almost standard equipment today, is the LED lighting, which appears very bright in this case. Not standard is the Belt clip that can be attached to each otherbut probably not everyone will use it. Practical, that you can remove it without any visible attachment points on the tool can be seen. Thanks to a sophisticated technology, it can be easily attached and is secured by a fixed battery. The belt clip certainly does not dissolve. 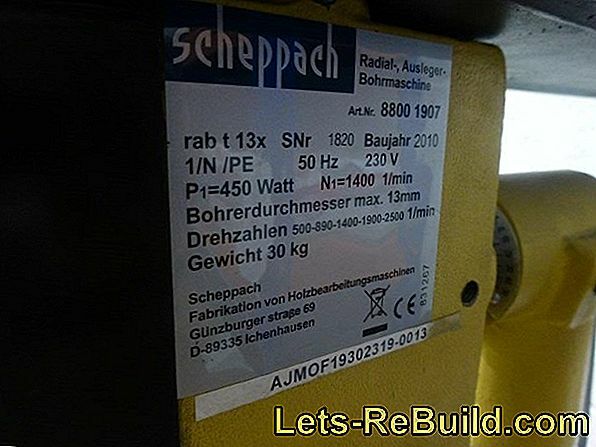 The charging station not only shines with Plenty of power, which charges the 2.6 Ah batteries in 45 minutesshe also owns the Possibility of wall mounting, Especially in the workshop use an important aspect. A light-emitting diode informs about the current charging function and warns of malfunctions. 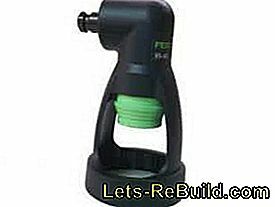 In this section, we would like to introduce the three included attachments from the system accessories from Festool. 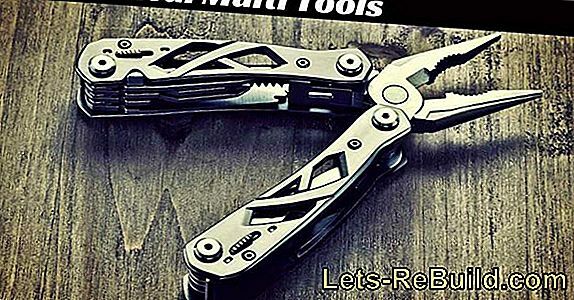 Without attachment the TXS Li is 2.6 Cordless screwdriver with bit holder, This variant guarantees a very short design, but only allows the inclusion of Bits and drills with a hex shank. 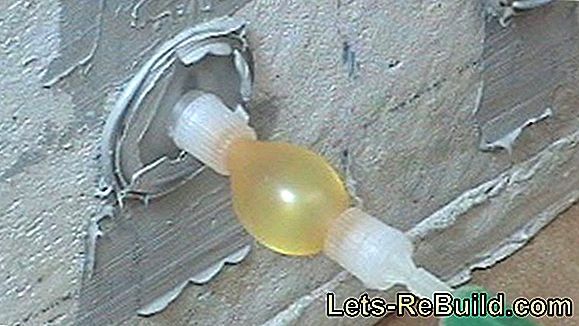 Thus, this tool would be suitable only for screws but not (or only conditionally) for drilling. To expand the range of use, can be on this Recording a keyless chuck which allows the inclusion of drills up to a clamping diameter of 10 mm. 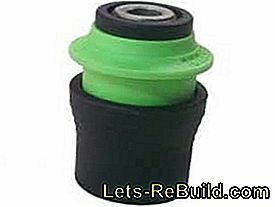 The chuck FastFix can be easily and safely Put on with one hand by lifting an adjusting ring and release. 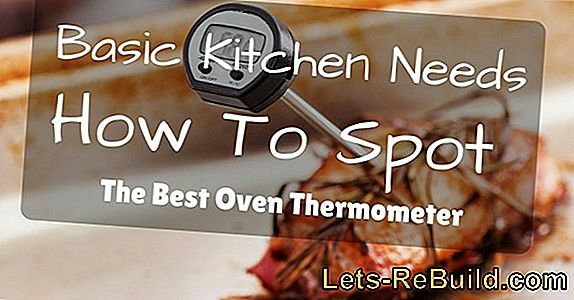 The recording is so good that the food on it can not move laterally and thus has a perfect concentricity. The food itself is not much larger than comparable food from other manufacturers despite the clip-on function. Also, the entire screwdriver is not significantly larger by this possibility. The angle attachment excited. 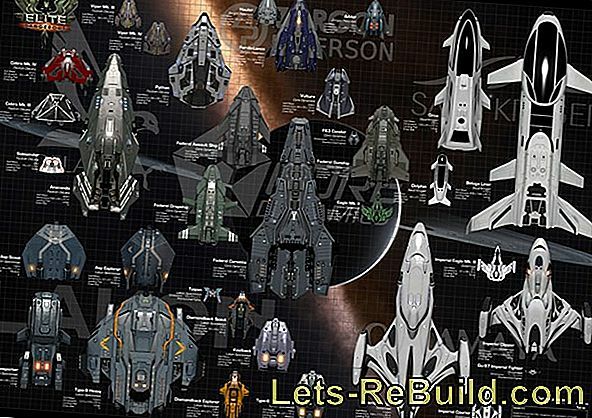 It's hard to say otherwise. Thanks to a grid, he lets himself in a total of 16 different positions on the cordless screwdriver. This is not just an angle attachment with a fixed chuck, but an angle extension of the FastFix interface. That means any food or tool that can be mounted directly on the drill, can also be used with angle attachment is. The open design of the angle attachment also allows an adjustment of the torque preselection and offers at the same time enough surface to him as an additional grip surface to use. As a result, the TXS Li 2.6 can be safely held and guided in combination with the angle attachment. Perfectly solved. 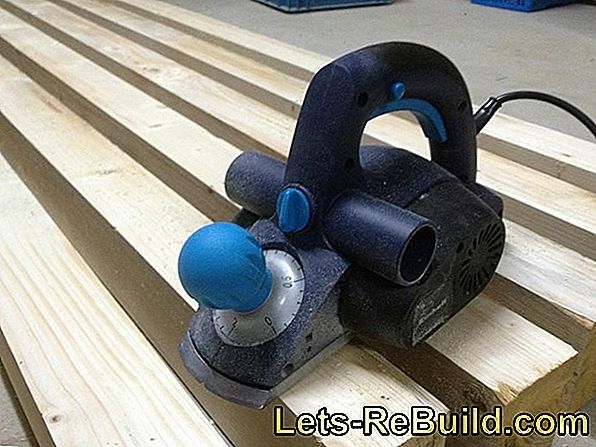 The tool chuck WH-CE Centrotec is used to hold tools from the Festool program. These Although also have the well-known hex shaftbut are minimally smaller. As a result, these tools fit with ease in synonymous recordings of other manufacturers, but turned around no usual bits and hexagonal shanks in this tool chuck from Festool. This disappointed a little, especially the tool only onee matching magnetic bit holder included, There is no other use in the basic equipment. Otherwise, the tool chuck is a good idea. 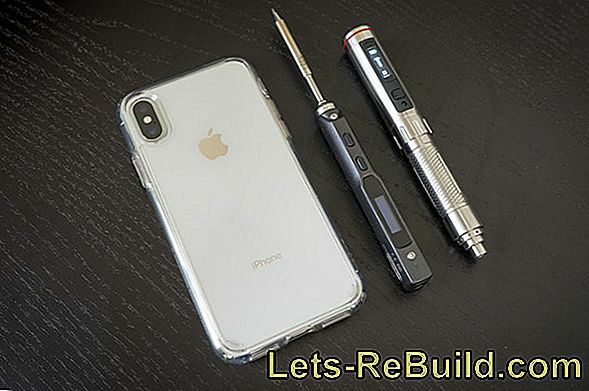 The least pure Screwdrivers with bit holder offer the possibility of locking the bit, When the tool chuck is put on, it is locked on the device as well as the bit in the tool chuck. Too bad that this feature is only allowed for Festool accessories. 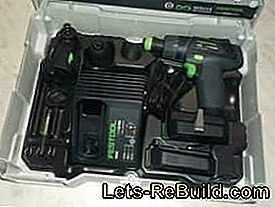 Anyone who already has a good set of bits and drills and does not want to buy them anew from Festool has little use for the tool chuck. Initially, we thought about whether the rough surface on the handle is sufficient or we will miss our usual rubber inserts. In direct comparison The TXS Li 2.6 slides faster in the hand than comparable models with rubber inserts, You should think that failed. But no, that's not the case. During normal use, the thoughts about it have been completely forgotten and there was not a point where we missed the thick rubberized surfaces. 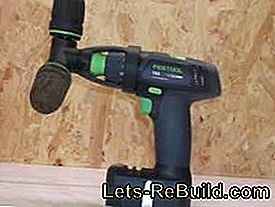 As sure as a handle is with it, the somewhat rough rubbery surface of the Festool cordless drill is completely sufficient and offers in the long run significantly less profile for dirt deposits. With the specified power, the TXS Li 2.6 stands a little behind comparable models, such as the GSR 10.8-2-Li from Bosch, which is in the Specifications almost twice the torque indicating for hard screwing. The direct comparison in soft screwdriving wins the little blue from Bosch, but not as convincing as his data would have suggested. In the field test both drivers had to sink a 7 x 110 mm screw into a wooden beam. The GRS from Bosch was almost at the limit, but fulfilled this task. The Festool TXS Li 2.6 pulled the emergency brake just a few centimeters before the finish. As a control, the GSR 10.8-2-Li subsequently lowered this screw as well. In terms of torque, the Festool is thus behind the blue Bosch, But is this power always needed and not overrated? Generally it should be noted that both screwdrivers are not intended for such screws and also in the technical data nothing else is claimed. 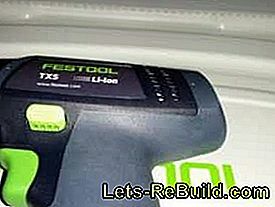 The Festool TXS Li 2.6 does what it promises. Therefore, nothing negative to read from this comparison. Here everyone is allowed to compare the technical data and decide for themselves what he values. For one 50 mm Fostner drill, the torque is sufficient. In the advantage of the Festool is very clear in its design. Although he seems somewhat shapeless with his flat battery, but the battery does not affect the handling. 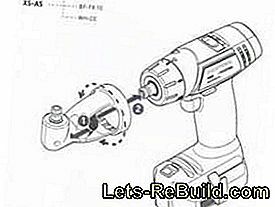 As a screwdriver without drill chuck it is shorter than other cordless drills and offers the possibility to dismiss himn. 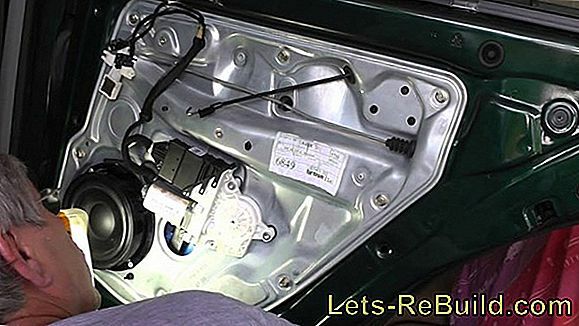 A peculiarity, which is often missed in the 10.8 V class. We use them, which makes the TXS Li 2.6 faster to handle and the case does not suffer so quickly even on a dirty surface. 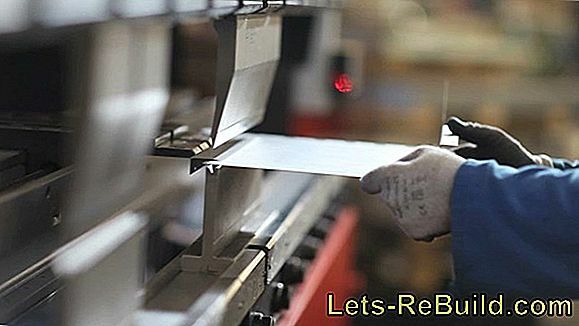 Especially when metalworking metal chips lying around can not only lead to damage to the housing, but also to cuts. 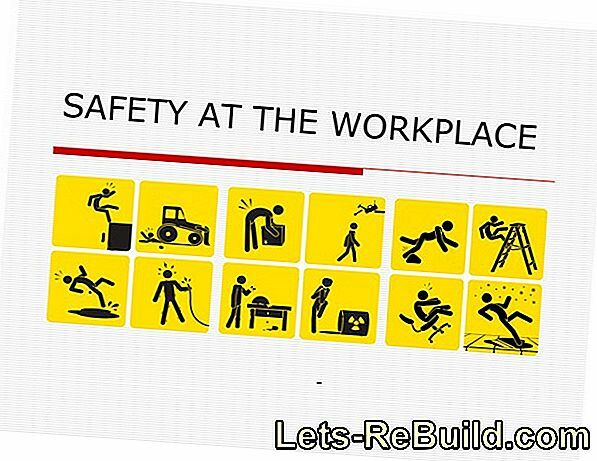 If the cordless drill / driver does not need to be stored, the risk is minimized. This makes the TXS Li 2.6 the ideal companion, with its touchdown hardly limits in the field of application knows. 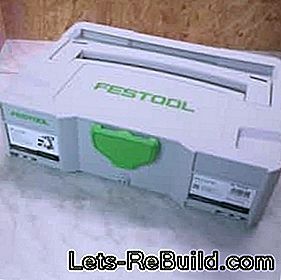 A handy systainer, the name Festool and a cordless screwdriver that delivers on its promise. 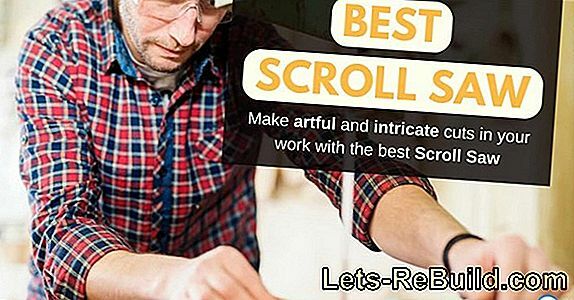 There are in the Features "-Set" features that not only limit the screwdriver to screwing. As a pure cordless screwdriver, the TXS Li 2.6 offers an extremely short head and can also be used well in tight working areas. 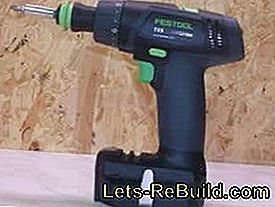 With attached keyless chuck becomes a cordless drill from the cordless screwdriver, which offers enough speed at 1200 rpm even for small holes. Enormous advantages creates the angle headHe sits as securely and stably as if he were firmly connected to the cordless drill. 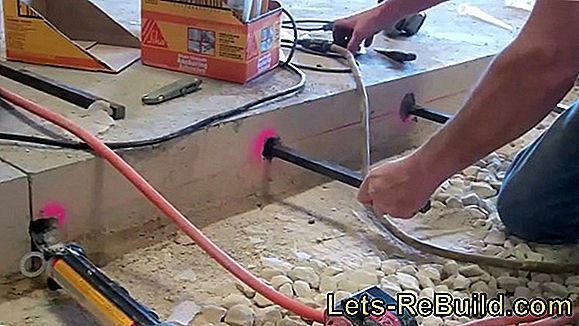 Two batteries each with 2.6 Ah round out the basic equipment and guarantee a long uninterrupted labor input. 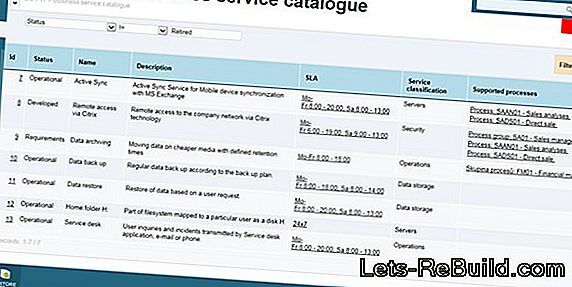 Errors or quality defects are looked for in the TXS 2,6 Li in vain and can only enjoy the many possible uses. 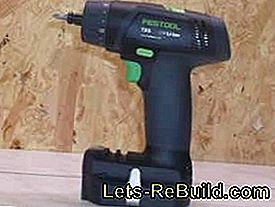 In addition, the TXS 2.6 Li finally found a detachable cordless drill driver of the 10.8 V class. Only the Centrotec tool chuck was not convincing, which is not due to the function. The Tool chuck sits securely on the cordless screwdriver and just as surely holds the recorded tools. Unfortunately, this only applies to special tools from Festool. 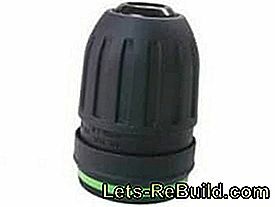 Commercially available bits or drills with hex shank unfortunately do not fit in this feed. There is a half star deduction for this. 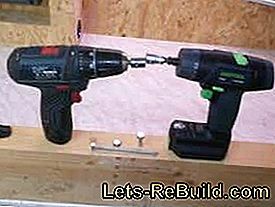 The Cordless Drill TXS Li 2.6 alone would have earned a full five stars.